The arch monuments we see across the world are built to commemorate a important person or an significant event in the history. Such man made arches also becomes important landmark and best tourist attraction of city where it is located. Followings are 10 popular man made arches across the world. 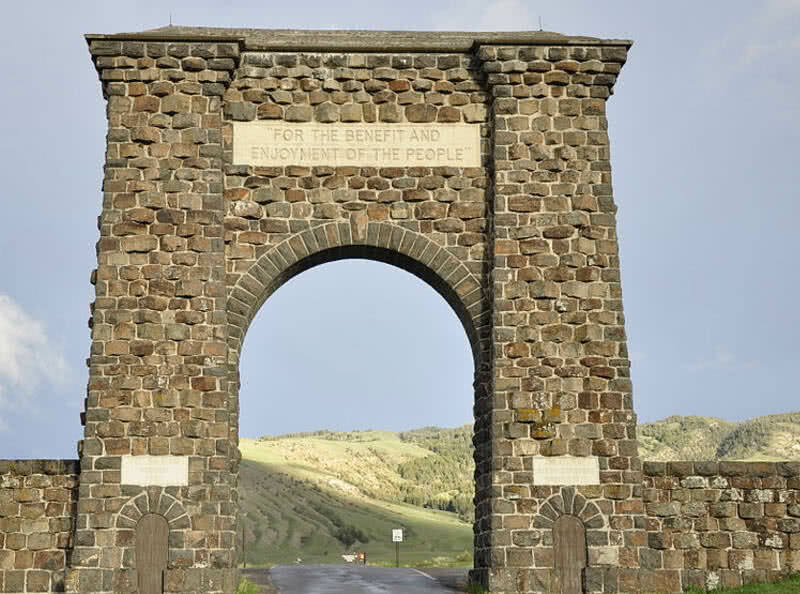 Roosevelt arch is the icon of Yellowstone national park, situated at North entrance of the national park in Montana. The cornerstone of this arch was laid by Theodore Roosevelt, The 26th president of United States in 1903. Later the arch took name of President. Yellowstone is the first ever national park in the world, established in the year 1872. But park got only few visitors at that time as it situated in a remote area. But in 1903 North Pacific Railway network connected to Northern entrance of Yellowstone national park. In short time the railway network became strong booster of Yellowstone national park’s tourism. Later engineers at Yellowstone decided to building a formal gateway at Northern side of the park to making great impression among tourists. The construction of Roosevelt arch started in February, 1903 and completed in August of the same year. The arch was designed by renowned architect Robert Reamer. Roosevelt arch have height of 50 feet and it is 30 feet wide. Visitors can also see inscription on top of arch as “For the benefit and enjoyment of people”. 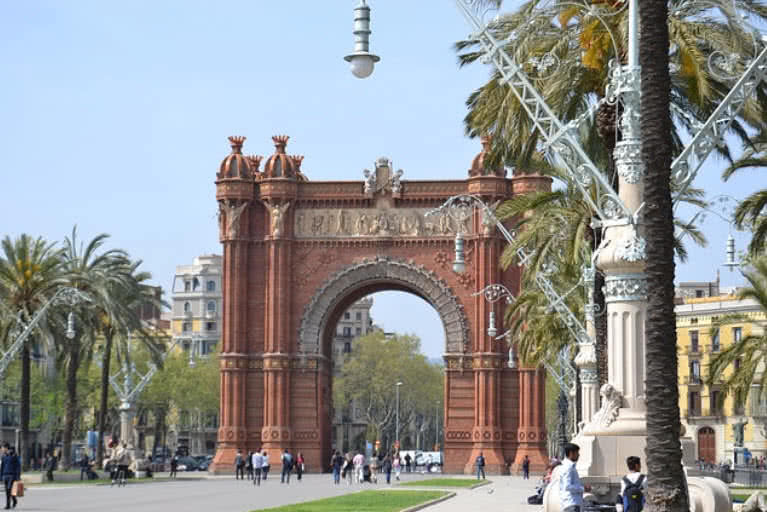 This popular arch in Barcelona city of Spain built as an entrance to world exposition in the year 1888. Arc de Triumf wad designed by Catalan architect Josep Vilaseca. He used Moorish revival architectural style for this arch. Red bricks are mainly used for it’s constructions and the beautiful stone carvings of arch also makes striking appearance. Above of those carvings the arch contains stone sculpture of ‘Barcelona rep les nacions’, Catalan for ‘Barcelona welcomes the Nations’. 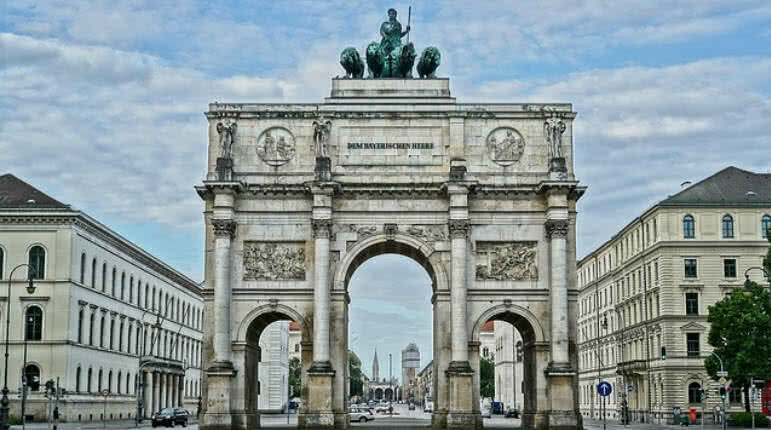 Victory gate or siegestor is a triumphal arch located in the city of Munich, Germany. It was originally built to commemorate the bravery of Bavarian army for their success in Napoleonic war of liberation. But today victory gate served as a symbol of peace. Victory gate was built between 1843 and 1852 by King Ludwing I of Bavaria. 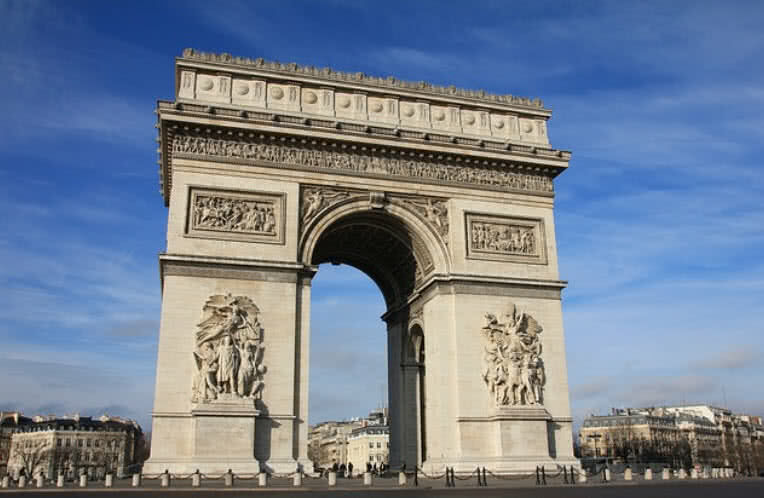 This arch have triumphal arch style, one large arch in the center and small arch on each side. There is also a chariot on the top of the arch which is drawn by four lions. It symbolize the victory of the army. 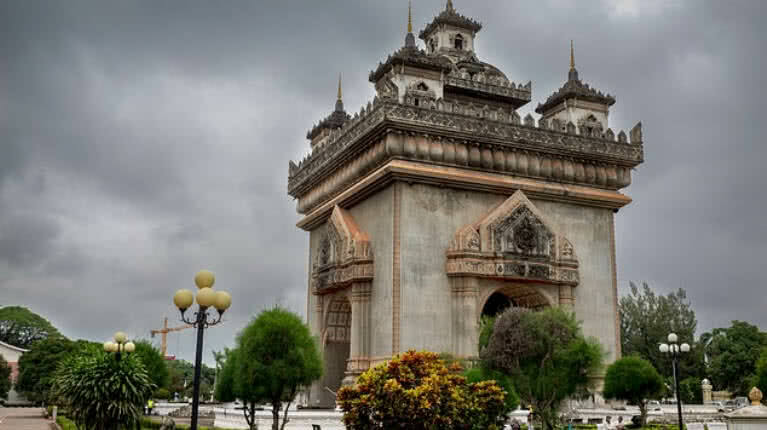 Patuxai is also known as gate of triumph or victory gate located in Vientiane of Laos. This victory monument was dedicated to those who lost their lives in fight to gain independence from France. The construction of Patuxai was started in 1957 and completed in 1958, was designed by Laotian architect Tham Sayasthsena. Patuxai have gateway on it’s four sides. The four corners of gateways are designed with statues of naga king, mythical symbol of the country. The stupa towers and lotus leaves in exterior makes Patuxai more attractive. There is also a museum housed in the second floor of the monument, displays pictures of heroes who fought for the country. The monument also provided a viewing gallery at top floor, bring excellent view of the city. It is the second tallest triumphal arch in the world, 60 meter tall and 50 meter wide. This monument was built in 1982 to honor Korean independence movement from 1925 to 1945, to gain independence from Japan. 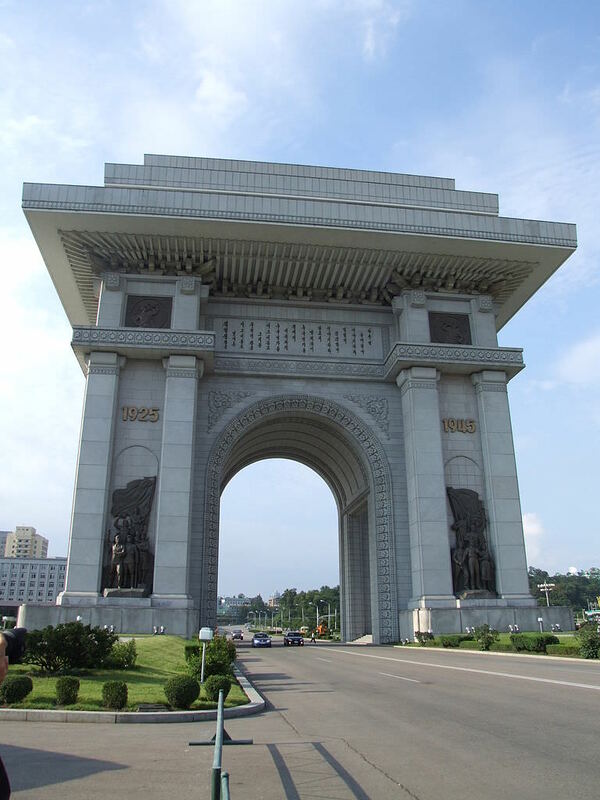 The dates ‘1925’ and ‘1945’ inscribed on either sides of the arch also dedicated to president Kim II-Sung for his role in Korean independence. The words ‘Song of General King II-Sung’ also inscribed on the middle of the arch. The monument also have observation platforms and dozens of rooms. 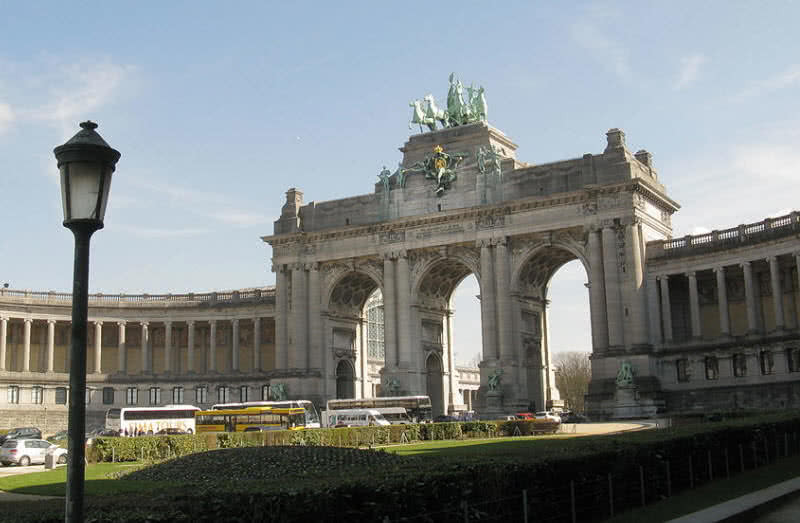 This enormous arch was originally planned to commemorate 50 years of Belgian independence, in the year 1880. But the construction of the arch didn’t completed in time. It took another 25 years for the completion of this arch and opened in 1905. It was originally designed by a temporary wooden structure. Then the disagreement between King Leopold and Government in subject of arising fund for permanent stone arch. It made a long delay in construction of the arch. There is a quadriga sculpture at top of arch that represent ‘Brabant raising the national flag’. 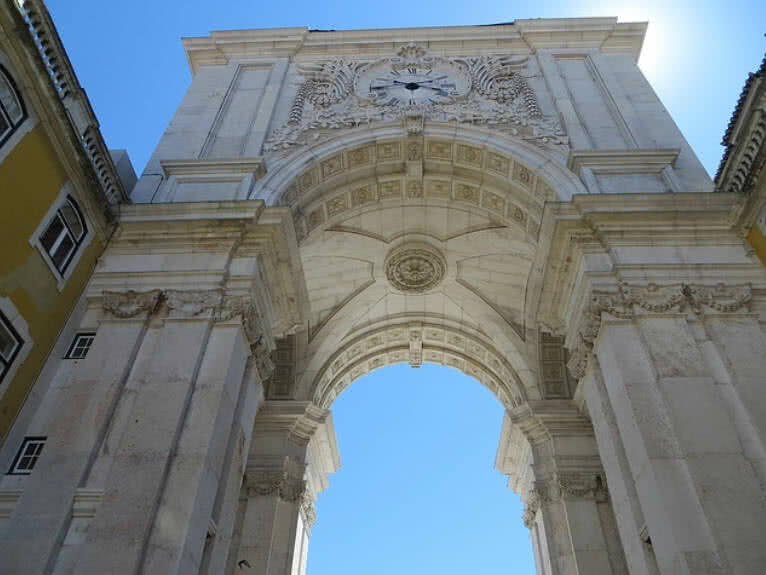 Rua Augusta Arch is one of the main tourist attractions in Lisbon city. It was built to commemorate the reconstruction of city after major 1755’s Earthquake. Actually the construction of this stone arch started in 1755. But completed only in 1875, after a century long delay. This arch has six columns, each one is designed with statues of historical figures. From the top of the arch visitors will get great panoramic view of the city. 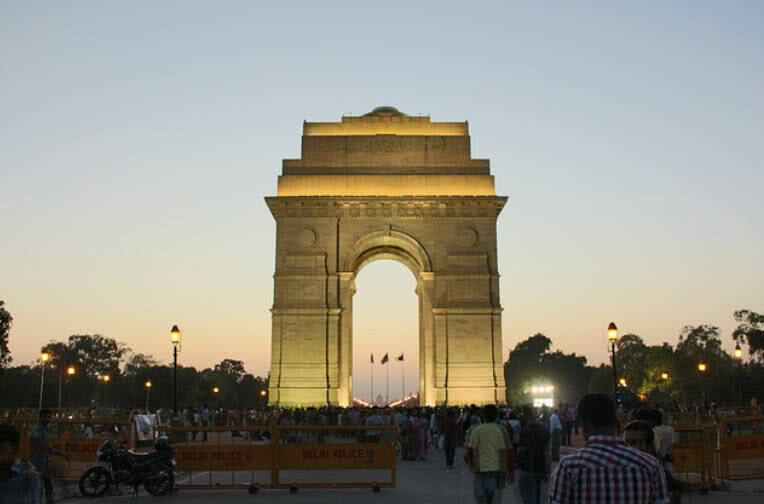 India gate is one of the most remarkable landmarks in New Delhi. It is originally called as All India War Memorial, dedicated to brave Indian soldiers who lost their lives fighting for British in World War I. The names of 70000 Indian soldiers also inscribed on India gate. Today this ,monument served as tomb of unknown soldier, referred to soldiers who died in wars. India Gate also serves as site of Amar Jawan Jyoti, to remind the soldier who ended up their lives in Indo-Pakistan war in 1971. Amar Jawan Jyoti was opened by prime minister Indira Gandhi on 26th January 1972. The eternal flame under India Gate burns day and night to remind all great martyrs of 1971 Indo-Pak war, who risked all for India’s pride. The construction of India Gate started in 1921 and took 10 years for it’s completion, opened on 12th February, 1931. Today it became one of major tourist attraction of New Delhi, illuminated every evening. The republic day parade also passes through the India Gate, held on 26th January every year. Arc De Triumphe located in Paris, France, one of popular landmarks of the city. It was built to honours the soldiers who died in French revolutionary and Napoleonic wars. The inner and outer walls of the monument inscribed with names of all French victories and heroes who fought in wars for the countries. The vault under this monument also contain tomb of an unknown soldier who died in World War I. The construction of this monument ordered by French emperor Napoleon Bonaparte in 1806, to honor grande armee. After the Austerlitz victory in the year 1805 Napoleon said to soldiers of grande armee “You will return home through Arc of Triumph”. The first stone of the project was laid on 15th August 1806. But the construction had been stopped several times after the abdication of Napoleon and finally completed in 1836. The monument have height of 50 meter, features observation deck at the top for the visitors. Gateway arch is the tallest arch monument in U.S. It was built to commemorate the Westward expansion of United Sates. The construction of gateway arch started in 1963 and completed in 1965. This arch was designed by Finnish-American architect Eero Saarinen. Today this monument attractions around 4 million visitors every year. 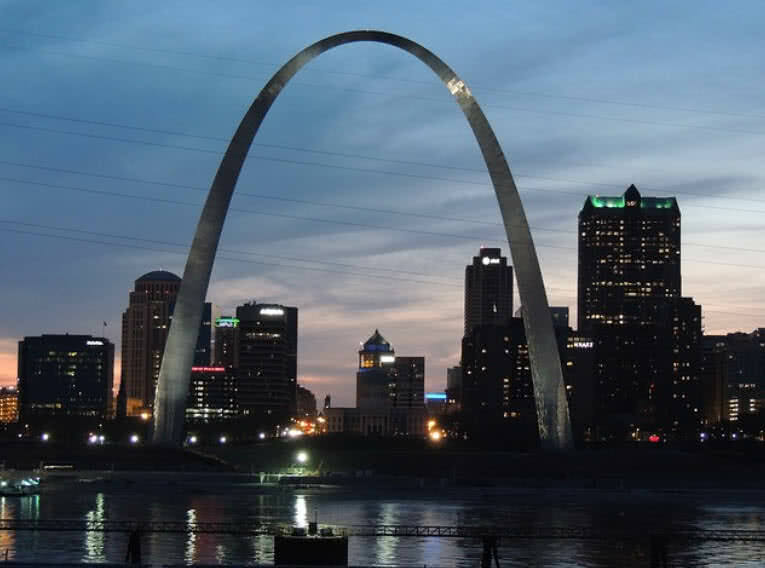 Gateway arch was assembled of 142 different sections of 12 foot long pre-fabricated steel. This arch contains 23570 tons of concrete and 1957 tons of steel. This hollow arch monument contains a unique tram system that takes visitors to top of the arch. The observation deck of gateway arch can hold 160 visitors at a time, offers view up to 30 miles in all direction.